Cable labels are used by many industry professionals who need a durable, long lasting way of labeling their wires and cables. IT departments find cable labeling systems essential when networking a building or organizing a server room. Many electricians use wire labels on their projects to allow for easy identification when revisiting a project in the future. 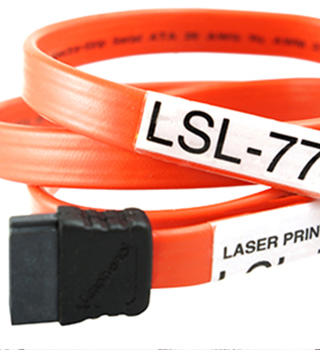 Cable labels can also be re-purposed for use in medical applications and on lab equipment. 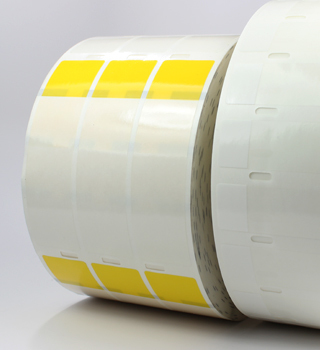 Our laser printable cable labels are manufactured using a high quality clear polyester film that is coated with a permanent, pressure-sensitive, UV resistant adhesive. They feature an ink-receptive print area and are backed with a poly-coated, two-sided, printable, lay flat release liner. These laser printable labels are approved for indoor and outdoor use with occasional exposure to oil and water.